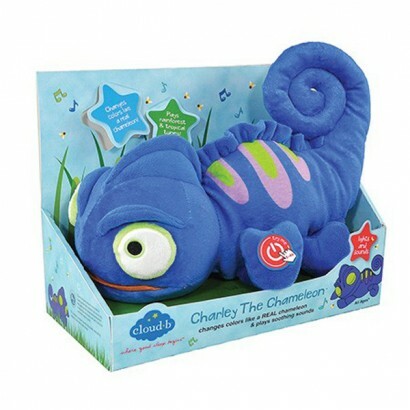 An adorable cuddly character that will make bedtime a treat, Charley the Chameleon lights up with colour change LED's from within and plays two soothing melodies. Choose from rainforest sounds, tropical tunes or simply enjoy his colourful light show by pressing his foot and Charley will see off any fears of the dark. 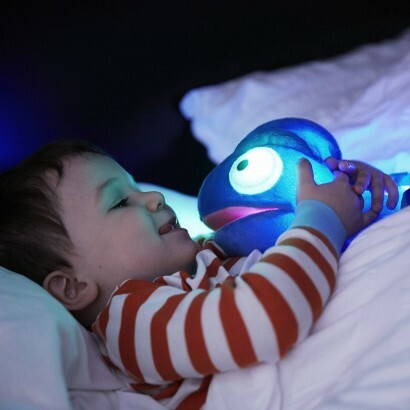 Little ones will look forward to lights out as they snuggle into Charley with his soft cuddly plush body and colourful lights that can be set to automatically turn off after forty-five minutes; more than long enough for little ones to drop off to sleep . It arrived the very next day, and my 6 week old loves it. Soothes him when he is upset, helps him to doze off when he is over tired. I shall be buying this as a gift for friends when they have babies! 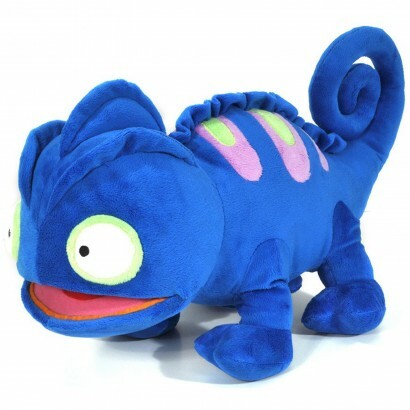 A wonderful toy. Great item. Bought as a gift and really pleased with it. Quite big and easy to use . Gives off a lovely light. I bought this for my little girl who has special needs and who adores lights and music. It has more than lived up to expectations. It's simply beautiful! Helps send her to sleep in no time and makes a welcome change from the usual types of lullaby music available.